A greeting card is something that makes (almost) everyone feel excited to see or receive – be it a birthday card, an apology card or any greeting for that matter. There are many companies which design and sell amazing greeting cards. And since the pricing depends on designs and styles, we thought to create an easy to edit greeting card mockup PSD for you guys. The best thing about the PSD file is that it is free to download. If you are choosing water colors for the card then make sure that all the colors which you pick are eye catching and won’t lose their original tones. Wisely choose the design elements and make sure that you are not overdoing it. Consider all the portions of the card. Negative space doesn’t look appealing at all – so, create the design carefully. Fonts are very important especially if you are trying to express your emotions to someone. It is always a good idea to choose readable fonts for the copy. There must be harmony between the copy and design. You should consider adding design elements if it is a seasons greeting card you are working for. No matter what the purpose of a card is; ensure that every card gives out the positive vibes. This can be done by adding a personal touch to every card which you are planning to create. Hand-made, hand-painted or hand-lettered cards can help you achieve your goal. Pay attention to the ‘outside’ and ‘inside’ of the card(s). If the front design has a variety of design elements / words or even colors then the inner area should be very neat. We hope that you will find this blog really helpful for creating super amazing greeting cards for your loved ones. Don’t forget to share the tips with your friends and colleagues. 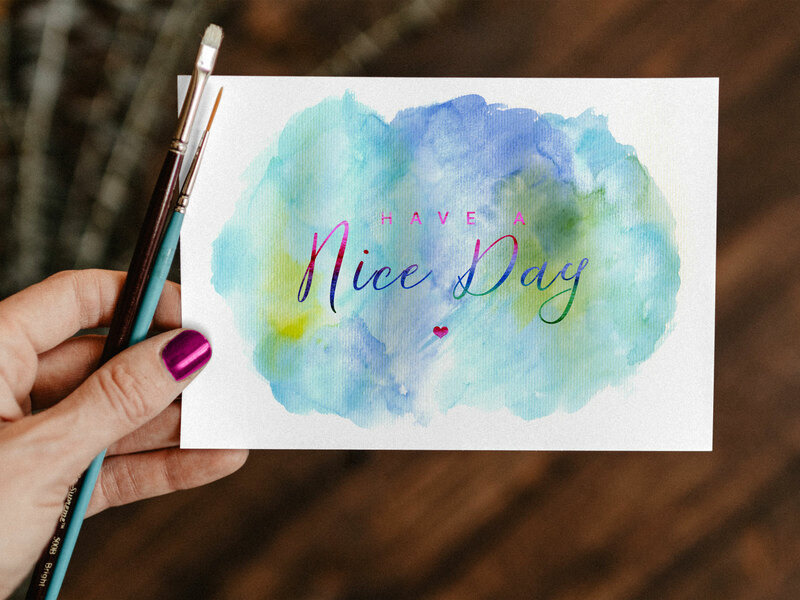 *Bonus Tip: Design greeting cards and use this mockup PSD for presentation and start a small business of painted cards. Good luck!